There are some photos that are just all about the moment, and this is one of them. 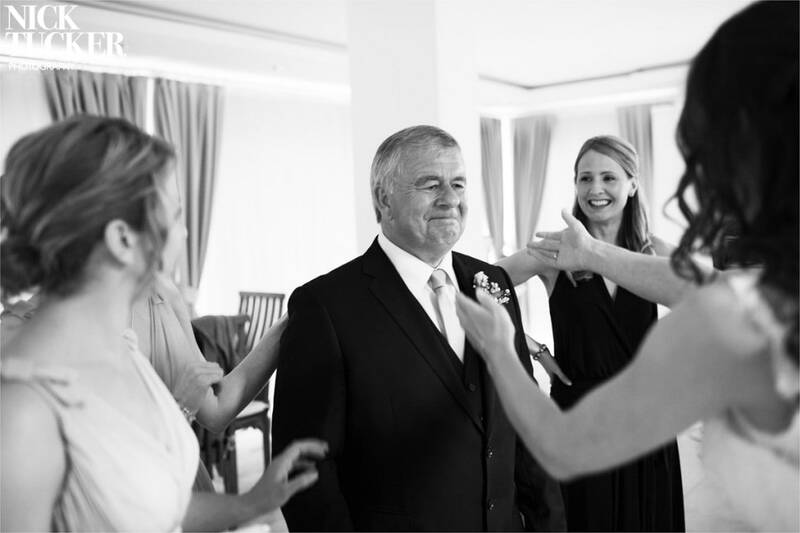 The father of the bride seeing his daughter in her wedding dress for the first time. I’ve included the next two shots to show you the embrace and because it’s important as a series, but I’ve lead with the shot above a) because it’s the very first moment and b) because, like many of my photos, it’s a wider shot. It’s not the father of the bride in isolation. 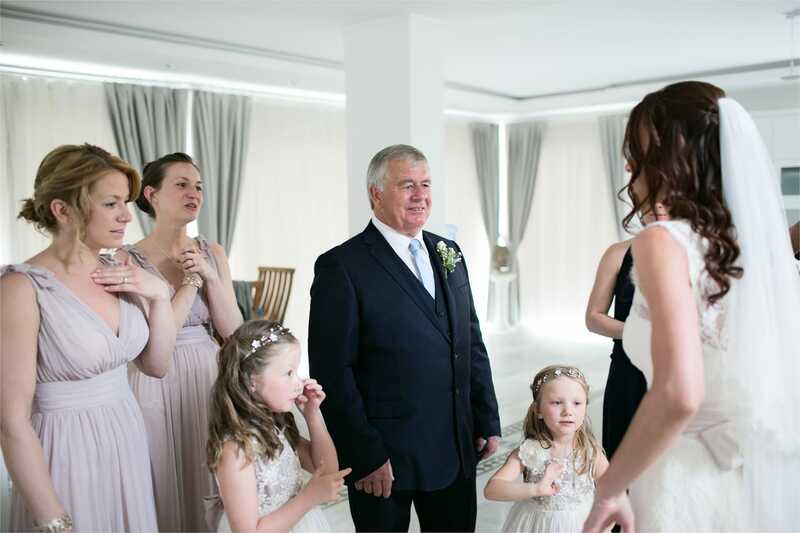 You also have the reactions of both bridesmaids (both the bride’s sisters), as well as the two little flower girls. This is a really special moment and one that you can’t orchestrate. Well, you can. I know some photographers who will prime the father of the bride by telling him how he’s about to see his little girl all grown up and this marks the point where he has to give her away, etc. But I’m not comfortable with that tactic, of manipulating the moment in some way. I want the moment to be real. Some dads keep it all in. British stiff upper lip and all that. Some dads let it all out. I want the reaction to be true to them. And this one certainly was. Nick, I follow your work here and on facebook. This series is truly beautiful, I’m just finding my feet in doing weddings and these are the shots that any photographers strives to capture. 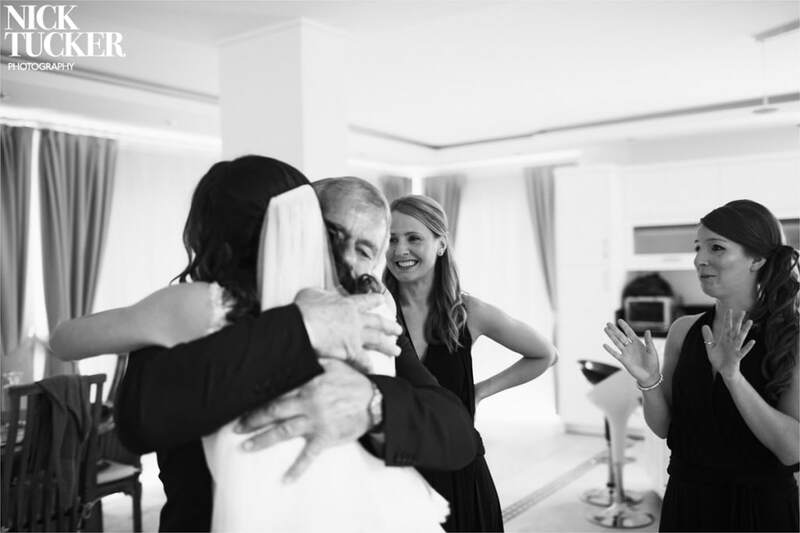 They are truly beautiful, and genuinely seize those precious father/daughter moments. I actually welled up! Keep up the good work. Hi Neus. I really appreciate that. Thank you.